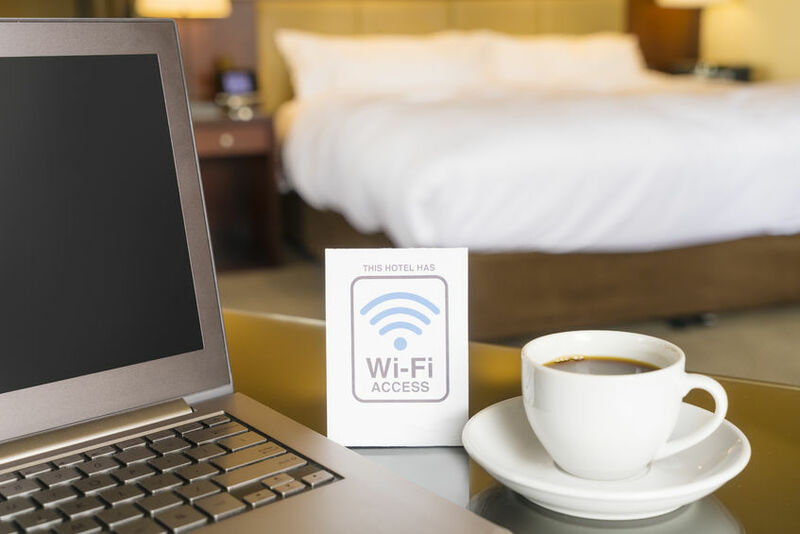 Here we outline four simple things you can do right now to start monetizing your hotel WiFi platform. Choose one, or use them all, the options that work best for you will depend on your customer base, your bandwidth and the strength of your sales and marketing departments. Does your hotel WiFi provider offer tiered bandwidth? If so, you could charge for your WiFi. We know, that’s crazy talk, but hear us out on this one. Deep Blue’s tiered bandwidth allows you to offer all hotel guests free WiFi service with the option to upgrade to a faster paid connection, if desired. This tends to be a more successful option if the majority of your guests are business travelers who will simply expense the daily fee, or if you have families with children who need the faster WiFi for streaming videos and movies. However, the duration of a typical stay is also an important factor. If your guests tend to book for less than 2 days, they may not be willing to pay extra for WiFi. Does your hotel WiFi use a splash page? That’s the page that opens when guests attempt to login, usually requiring them to enter their room number or credit card. This is a golden marketing opportunity, and an easy revenue source, provided you have a sales team willing to solicit local businesses. Consider partnering with nearby restaurants to offer dining discounts, or ask the neighborhood pub if they want to promote their drink specials. Local amusement parks, zoos, museums, theaters and retailers also make good splash page advertisers. Do you have an on-site bar, restaurant or spa? Why not let your marketing department use your splash page to promote your hotel’s amenities and sell more of the services that really impact your bottom line? Imagine notifying guests when they logon in their room that they can order room-service until midnight, or, when they pull out their phone at the pool, that today’s spa special is an after-sun facial. Deep Blue’s hotel WiFi service offers social media authorization, providing hoteliers with yet another opportunity to engage with guests. While most hotel WiFi solutions provide your guests with anonymity, they can tell you where your users are inside your property and help you to predict their behavior and buying patterns while they are there. These analytics can be extremely valuable when trying to understand what your guests are looking for and how best to deliver it. For instance, would adding fast, free WiFi in the lounge or bar area prompt guests to linger longer and spend more money on drinks and appetizers? What if you could justify adding room-service by the number of guests stopping at the restaurant in the lobby before heading up to their rooms? Deep Blue’s hotel WiFi analytics allow hoteliers to drill down to activity levels in each space. Need Fast, Reliable WiFi for Your Hotel? Whether you need WiFi for a hotel with 50 rooms, or a reliable WiFi service provider with 24-hour live support for hundreds of properties worldwide, the nation’s top brands choose Deep Blue Communications. We are an approved hotel WiFi provider for Hilton, Marriott International, Wyndham Hotel Group, Hyatt, Omni Hotels and most major hotel brands and independents. Call 1-844-398-2718 to speak directly with a hospitality & hotel WiFi business analyst, or request a site survey to find out how we can help you.